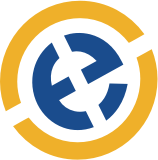 Worcester State University’s “Change Lives” campaign is founded on the belief that access to higher education is the cornerstone of community engagement and personal growth. 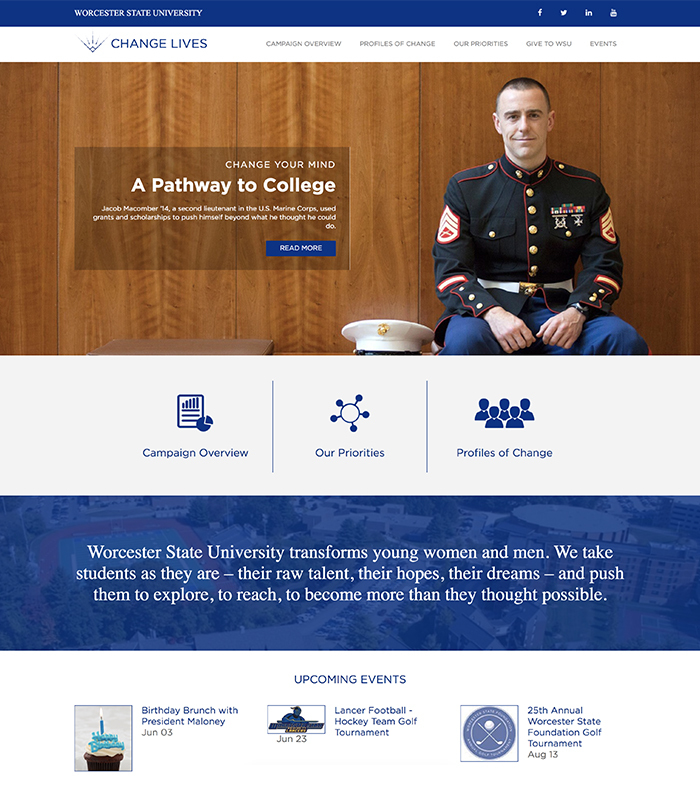 The website was created to outline WSU’s unique institutional priorities while also featuring the stories of notable alumni. We cultivated our design to include both informational and story pages, driven by powerful imagery that would resonate with readers. 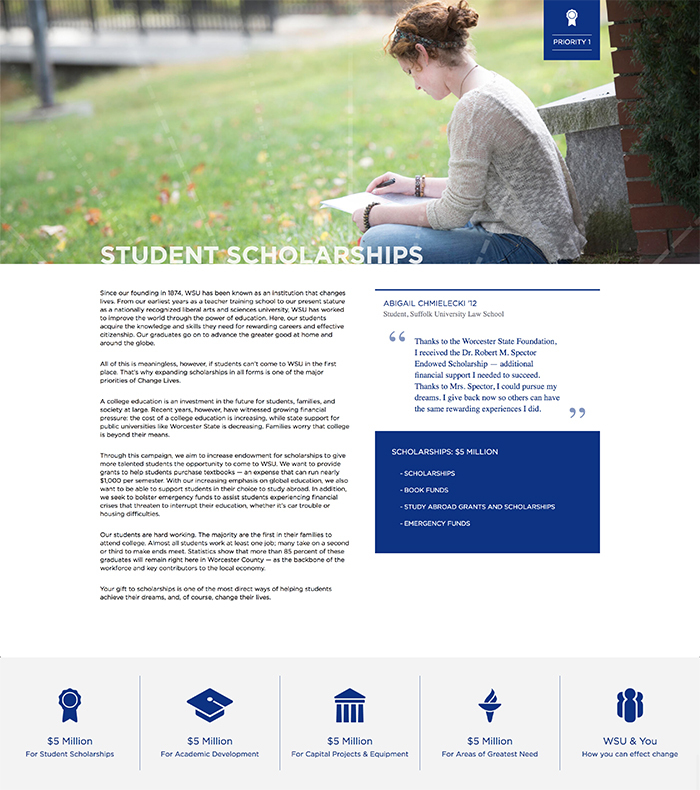 Worcester State University sees the importance of education and embraces the opportunity to change lives. 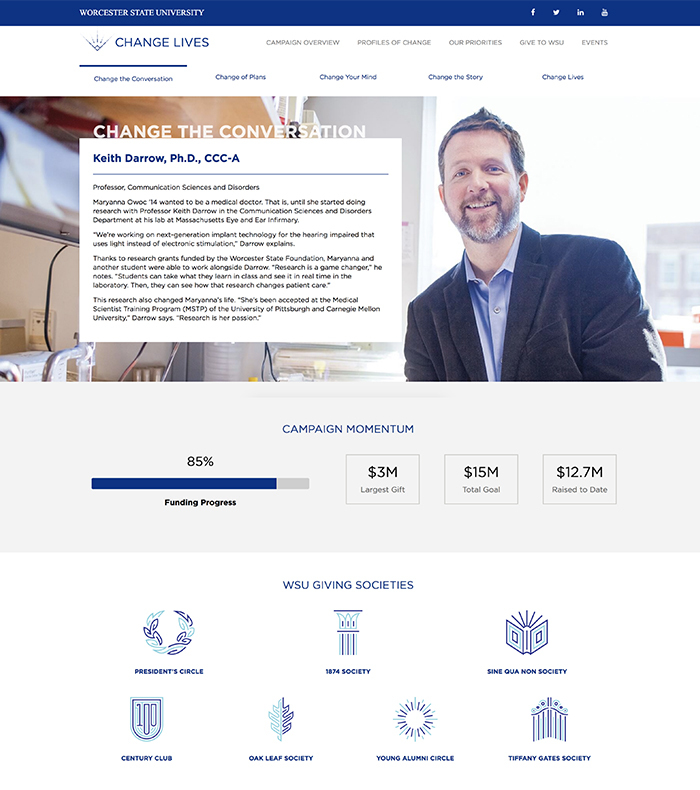 With a website to generate momentum for their campaign, we helped them do just that.